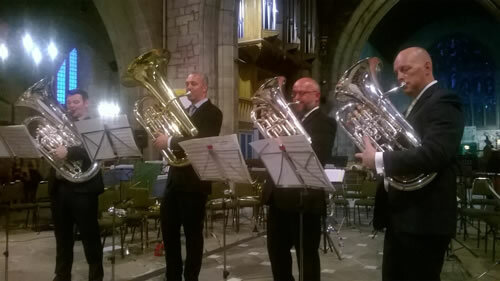 The four members of Tubalaté are Paul Walton and John Powell (euphoniums), Ryan Breen and Les Neish (tubas). Brass bands have been crucial in assisting many youngsters to develop an interest and expertise in music and this certainly applies to John Powell. This evening’s concert showcases repertoire from the last 25 years, offering many different styles and sounds.